Systemic treatments (like methotrexate and retinoids, and biologics such as HUMIRA). Based on clinical trials in adults treated with HUMIRA, it is expected that skin symptoms may improve by 75% in 7 or 8 out of 10 people after 4 months, and in some patients as early as 4 weeks.3,4,§. Your dermatologist will be able to assess your response to treatment. 75% reduction in psoriasis skin symptoms (severity and extent) = PASI 75 response. 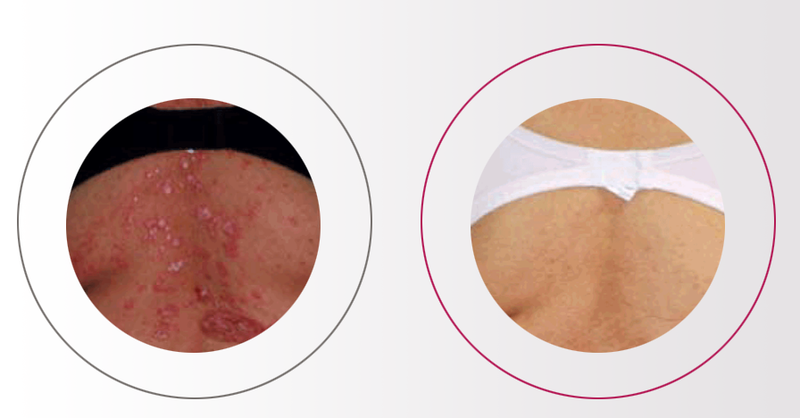 HUMIRA is known as a biologic and works differently to conventional systemic treatments because it works by identifying and blocking a specific source of inflammation that contributes to psoriasis symptoms. HUMIRA is only available on prescription, so if you have moderate to severe chronic plaque psoriasis and are still experiencing symptoms despite your current treatment, ask your dermatologist to see if HUMIRA is right for you. The government medicine funding agency, PHARMAC, fully subsidises HUMIRA if your psoriasis has not fully responded to other medicines prescribed by a specialist, and you meet other criteria required by PHARMAC. Your specialist will discuss whether HUMIRA is right for you, and whether you may qualify for PHARMAC funded treatment. Usual doctor’s consultation fees, and pharmacy prescription charges remain payable by you. In New Zealand, dermatologists have been able to prescribe HUMIRA since 2009 so there is over eight years’ experience in New Zealand with prescribing HUMIRA for moderate to severe psoriasis. HUMIRA (adalimumab) belongs to a group of medicines called biologics. Biologics are injectable protein-based therapies (often antibodies). HUMIRA is a fully human monoclonal antibody. Monoclonal antibodies are proteins that recognise and bind to other unique proteins. Rheumatoid arthritis, psoriatic arthritis, ankylosing spondylitis, polyarticular juvenile idiopathic arthritis, Crohn’s disease, and psoriasis are all examples of autoimmune diseases. The cause of autoimmune diseases is currently not fully understood but it has been found that increased levels of a protein called TNF plays a key role in the excessive inflammation that is a feature of these diseases. TNF triggers inflammation as part of the body’s normal immune system response, however extra TNF can attack normal, healthy body tissue and cause tissue damage. HUMIRA binds to TNF and helps reduce the inflammation associated with autoimmune diseases. Unfortunately, currently there are no treatments available that can cure rheumatoid arthritis, psoriatic arthritis, ankylosing spondylitis, polyarticular juvenile idiopathic arthritis, Crohn’s disease, or psoriasis. HUMIRA will not cure your condition but can help with your symptoms. When should I expect to see and feel an improvement? HUMIRA can act quickly; most people can expect to see improvement in their symptoms within 3 months and in some cases as early as two weeks. 1-9,§ It is possible that no effect is seen after HUMIRA treatment. Discuss your expectations with your doctor. You’ll need to be patient and stay on track with your dosing schedule as advised by your doctor. § Individual results may vary. *AbbVie medications and programmes are designed to support patients on their health journey. NZ-HUM-0191. TAPS PP2498. August 2018.